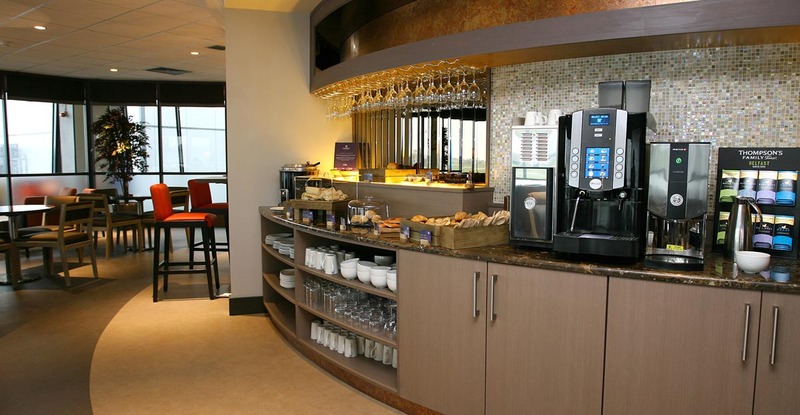 Marcon completed the full refurbishment of the Causeway Lounge at Belfast International Airport. 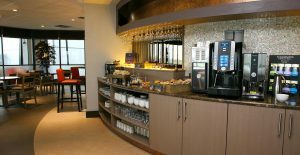 The popular lounge underwent a total transformation and now provides travellers an ideal place to relax before a flight. The new high end interior was designed by Paul Horscroft of Horscroft Design. The Causeway Lounge occupies an enviable location above the main viewing platform affording terrific views of the main runways. The room has continuous panoramic full height glazing in a hexagonal arrangement and the new layout makes the most of the fabulous views. 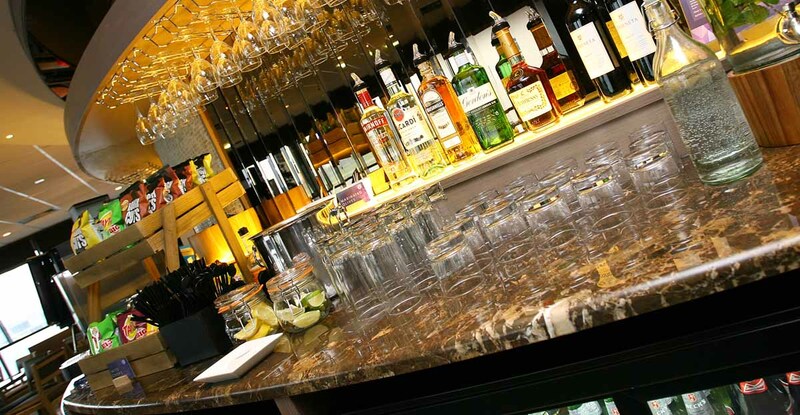 An elegant circular bar accommodates the new food and drink offer. 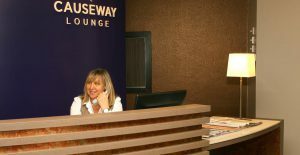 The new bar and reception counter was finished in a mix of polished stone, hardwood joinery, mirror and tiling. Toilet facilities within the lounge have also been upgraded. The new hardwood furniture is a mix of sofas, lounge chairs and dining chairs finished in Analine leathers and warmer cloth upholsteries with quality contemporary stone and steel tables. 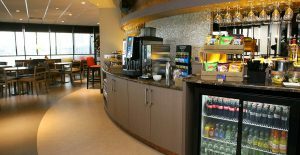 All of the bespoke joinery within the new lounge was manufactured at Marcon’s specialist joinery workshop in Antrim.